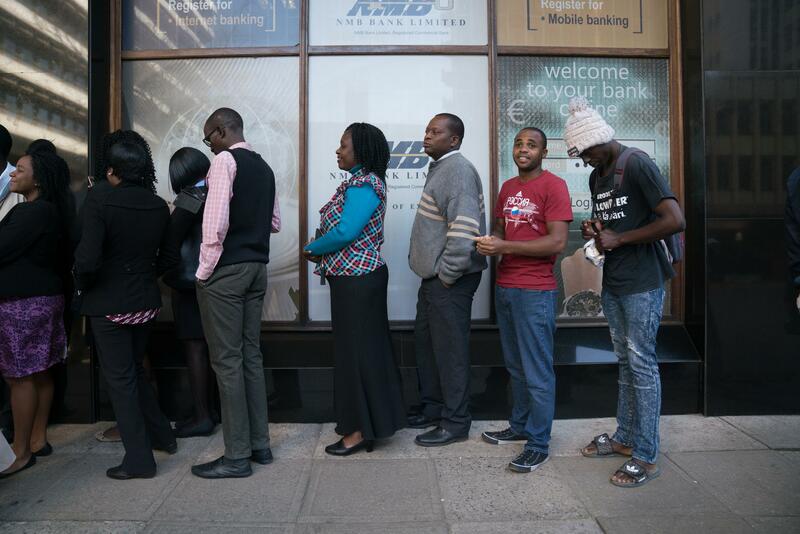 It's a little after 8 a.m. on a Wednesday morning in downtown Harare, and Brandon Moyo has been waiting in line for the ATM for over four hours already. He's hoping to withdraw $20 — but it's not looking promising. There are over 20 people in front of him and bank officials have already warned they might run out of cash before he gets to the front.